There are people who have enough discipline to achieve the body they desire. And then there are those who look great, without others even realizing they are not necessarily fit. And you fail to notice that because of your focus on appearance alone. Nobody is born with it. Sure, being slim and having a nice figure may run in the genes. But being healthy certainly does not. You may also see writer journal templates. Based on studies, since 1980, obesity worldwide has more than doubled. In 2014, there were more than 1.9 billion adults, aged 18 years and older, who were overweight. From that figure, 600 million were obese. That’s about 13% of the world’s adult population of which 11% are men and 15% are women. There are, of course, too many factors that would have contributed to the alarming statistics. For those who are overweight, the pressure to reduce and cut some can sometimes be high. What with the media exposing the wrong kind of messages when it comes to feeling great about yourself. You may also see education journal templates. Then people turn to diet plans and fitness regimes that were so 2015. If it didn’t work then, there’s a good chance it wouldn’t work now. But when done right, it could be quite successful. Dieting seems always easier said than done. Working out or exercising seems too difficult to fit on your already jam-packed schedule. Somebody who has enough sleep, diet, and exercise would only be someone who is healthy in thoughts and arguably both physically and mentally fit. Peace of mind goes a long way because, in the process of trying to improve yourself, it also drives away stress and negative thinking. And, you know for a fact that it sometimes causes you to validate your need to put your troubles on beer, booze, and junk food. You may also see coffee journal templates. You also need one word, above all. Focus. It’s not easy, and rightfully so. You have to know what your focus is. This year though, a good focus on your fitness goals should be the psychological and mental part, not purely aesthetic. Evaluate your performance. Check your strength and speed, and if you think it is far from what you want to gain, work on it. Your body will then change so much faster. 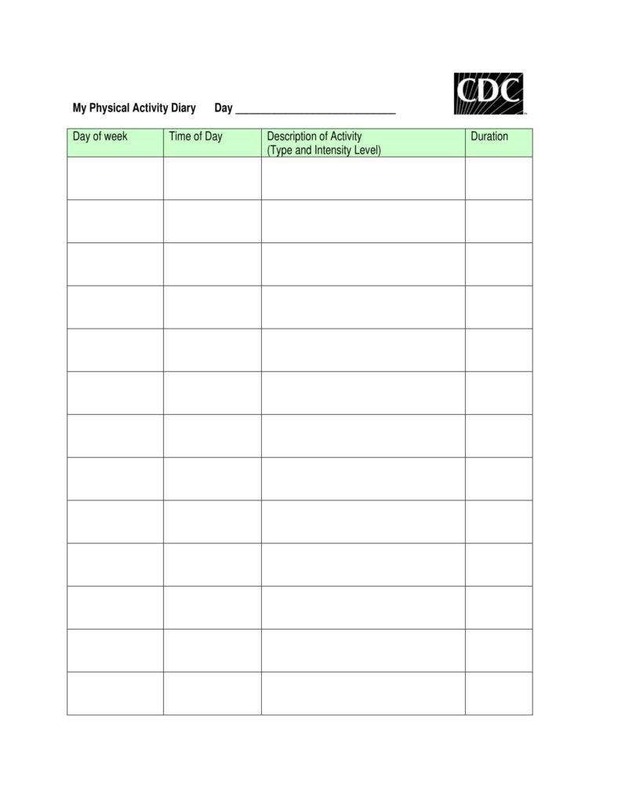 Keep a schedule for fitness activities or better yet, make a fitness journal and stick to it, to keep track of your progress or lack thereof. 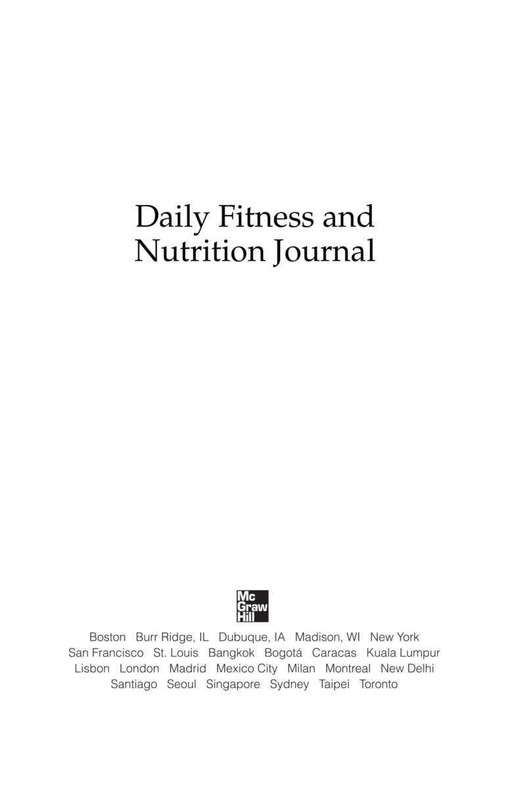 The benefits of being physically fit, with the help of a fitness journal, will be far-reaching although you might not realize that yet. Remember that diseases lurk on the food that you eat and the air that you breathe sometimes. Not all that tastes good are healthy for you. At the same time, not all that feels good doing, are worth pouring your physical strength over. Better yet, promise yourself to have resistance and a good discipline to write down your planned fitness activities and how many of them you have achieved so far, in a journal. There are many lifestyle-related factors that contribute to obesity including improper diet, improper exercise and lack of motivation for a healthier lifestyle. 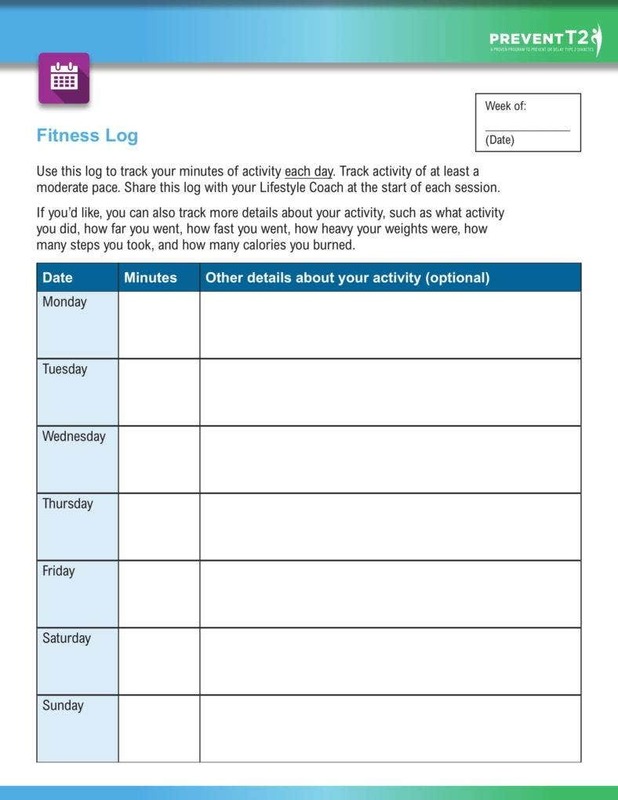 Having a journal where you can write your fitness goals in, as well as long-term plans for maintaining a healthy routine will be very helpful. It is a reaffirmation to re-balance lifestyle before and during exercise and dieting. 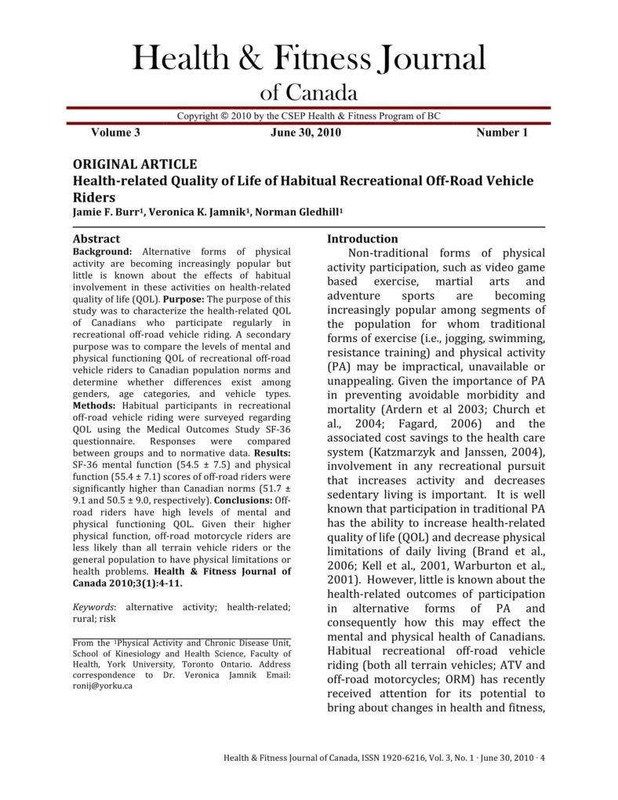 You may also see journal paper templates. Here’s a known fact. Thinking that a little snack, a few calories here and there in one day surely won’t hurt, is very easy indeed, but it can turn your fitness goals into a massive disaster once you step on a weighing scale and realize you actually accumulated more calories than you have intended to. It’s always harmless at the beginning, for the average person who is on a diet. Keeping a fitness journal will help you answer to yourself, and yourself only whether or not you have failed in your commitment to stick to the carefully calculated nutrients your body needed, while not overdoing it. It will also be easier to see the wrong choices you have made so far and correct them as early as possible. You may also see journal website themes. Negative things, even if they are all in the mind, can affect you too. Without you even knowing it, your diet, if it’s is not the right one, might make you feel bad about yourself when you are doing this to be able to get rid of your insecurities and feel good, in the first place. Otherwise, what good is it, if it leaves you in a bad state, now more than ever. You may also see photography journal templates. People love to eat and they also love to put off exercise for later. Or next week. Or next month. But, while it is true that you are what you eat, it is also true that you will be able to control it when you have written down how far ahead or how far behind you are. It all depends on how much discipline you can muster for yourself. There is so much more to eating more than just the taste of food. Your goal should not be being unrealistically thin. The food you love to eat should not be a hindrance to having a diet that works. It’s never a good idea to go on a hunger strike just because you think it would give you a perfect body. Doing that could end you up in the hospital if you are not careful. You may also see inspirational journal templates. Sweating it out makes you lose some without you even realizing it. Regular exercises, or even just ordinary activity can also keep your health under control. Admit it or not, it is pretty much on the effortless side. You can just imagine how you can enjoy your routine and not think about the food you thought you could not eat anymore. 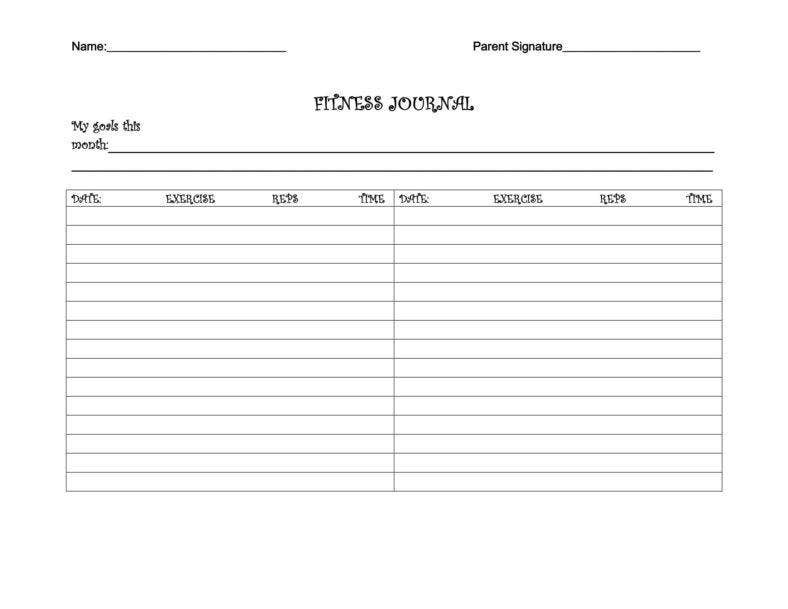 You may also see dance journal templates. 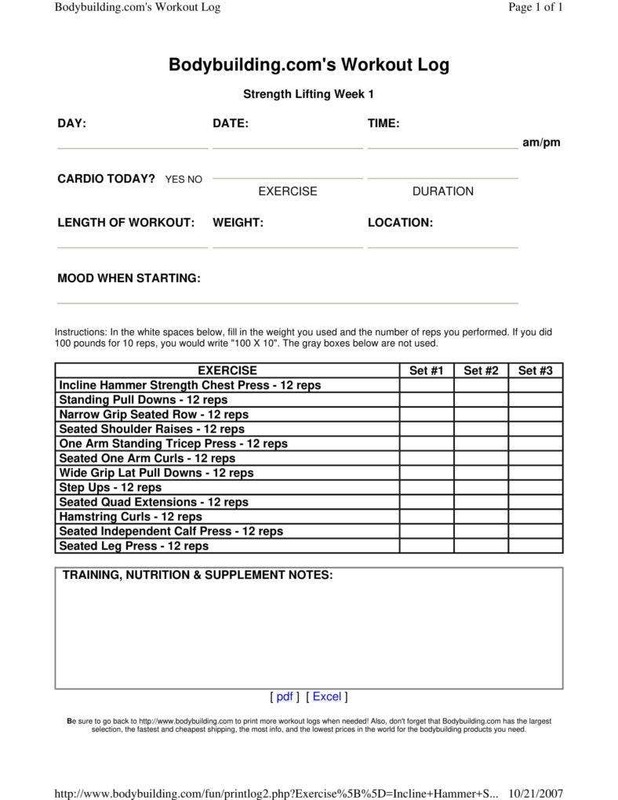 A fitness journal will help you to develop a carefully laid-out objective. You may want to lose about 10 pounds in a month’s time or 20 pounds for a particular event halfway through the year, and so you will be basing the length of time you’re willing to commit yourself to journal writing to achieve your fitness goal. You can even go as far as sticking with your diet and workout regime until you have run out of pages to write on and fill. The whole point is being able to set a goal and work towards achieving it. Keeping a record allows you to focus more and it gives you a good push when the going gets tough and your weight is nowhere near the goal set yet. You may also see excel journal templates. Discipline is your key to develop the best and healthiest habits for your overall well-being and not just physical fitness. They say life isn’t about keeping score. Actually, part of it is. We do need to keep score because it’s not easy to do things with control and fight the urge to do and have the things you so want to do and have. It’s not easy to go to the gym every day, or even every week. Taking the time to exercise and keep track of what you eat, to make sure you aren’t cheating on your diet plans isn’t easy either. It takes a good deal of discipline to do all these things but if you are determined to write everything down, there’s a lesser chance of you cheating or bailing out. It will also help you be more consistent thereby developing a habit of eating healthy and exercising regularly. You may also see word journal templates. Changing your lifestyle is hard enough as it is. Adding exercise and cutting down on your favorite type of fatty food just makes it a whole new challenge. But if you’re ready to take on that challenge, who says you can’t do it? The beginning is the hardest part, when it comes to working out because you will end up having muscle pain from lack of exercise, catching your breath and ready to quit. You may also see vintage journal templates. Writing the most difficult parts of your fitness journey will keep you on track as to whether or not you have made progress. Because even if you didn’t, you can still give it another try, since the pages are there for the writing, and the goals are there for fulfilling. Some days will not go as smoothly as planned. You just have to accept that. And, there will be lots of times when you will feel discouraged. But that’s part of it too. Nothing worth working hard forever comes easy. Doing what you can, as hard as you can, in making yourself physically fit, is one of them. You may also see recipe journal templates. Take note of this. 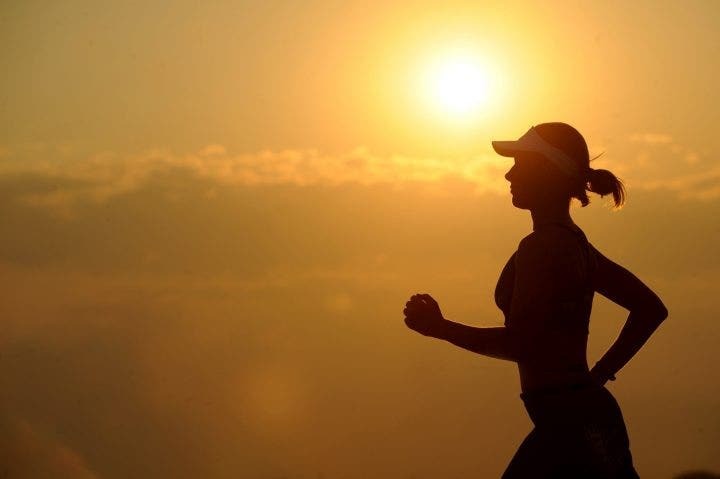 You would want to run on a good enough stamina with a fit body and a healthy mind to boot, so that you can live your life to the fullest every day. 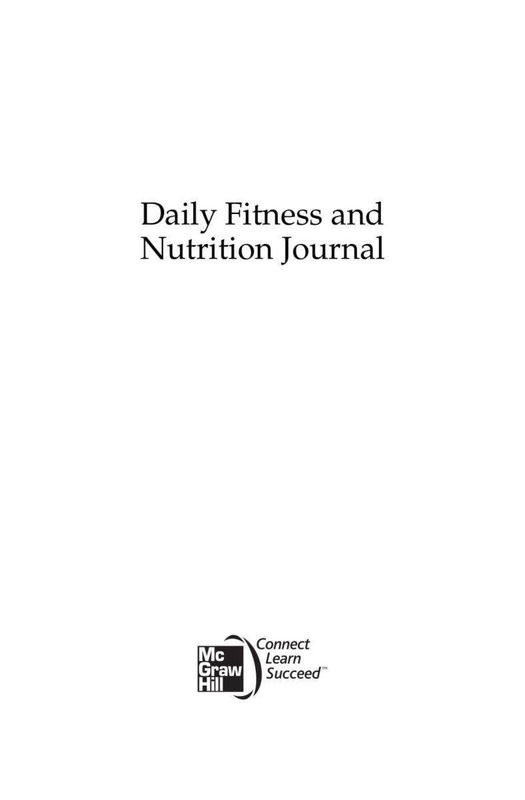 You need to list down a diet plan as well as a workout plan on your journal that can get you through that, while also leading you to have a happy disposition and a positive outlook through writing down your way to fitness. You may also see reflective journal templates.